I am always looking for new ways to use splattered paint to create art. With Valentines Day less than a month away I added some flower hearts to paint I splattered on a gesso board. I started with a 6×6 inch Ampersand Gessobord. I painted the background with Golden Acrylic Teal mixed with lots of white. 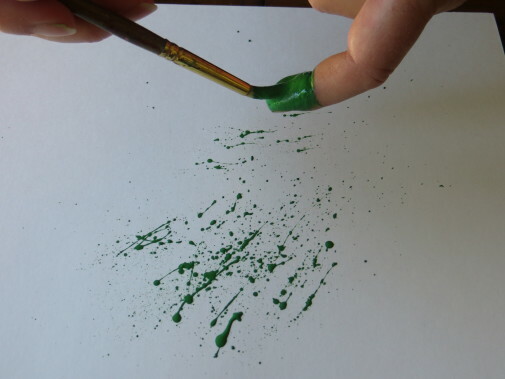 Then using a round bristle brush load your brush with lots of green paint. It needs to be round brush with stiff bristles for best results. 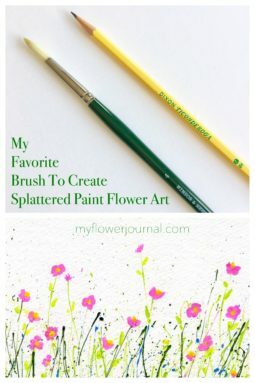 I have tried many different brushes for splatter painting and this is the one that works best! Use plenty of paint. 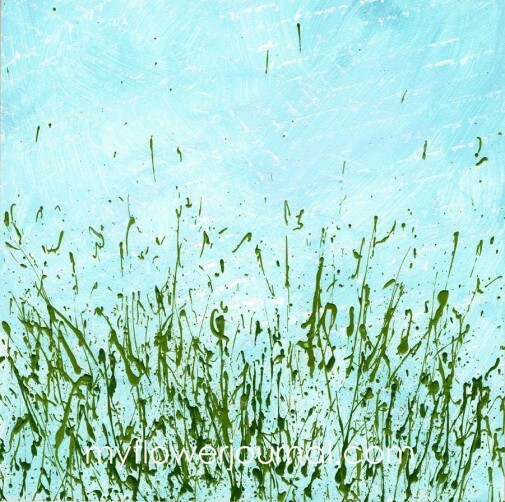 A brush filled with lots of paint produces the long grass like splatters, with less paint you get fine speckled splatters. I used Martha Stewart Satin paint in Green Olive and Seaweed. Here’s a video showing how I splatter. After the green splatters dried I used intense, bright colored acrylic paints to make the flowers. That way I can mix them with white to get different shades. I used a size 2 round brush for all the flowers. The heart flowers are two strokes with the round brush to make a “V” or heart shape. The purple flowers were created with little dabs of paint. After the flowers dried I put a watery bright green paint in a few places and finished with a few splatters of pink and purple with the splatter brush. You can read more about the paint colors I use here. 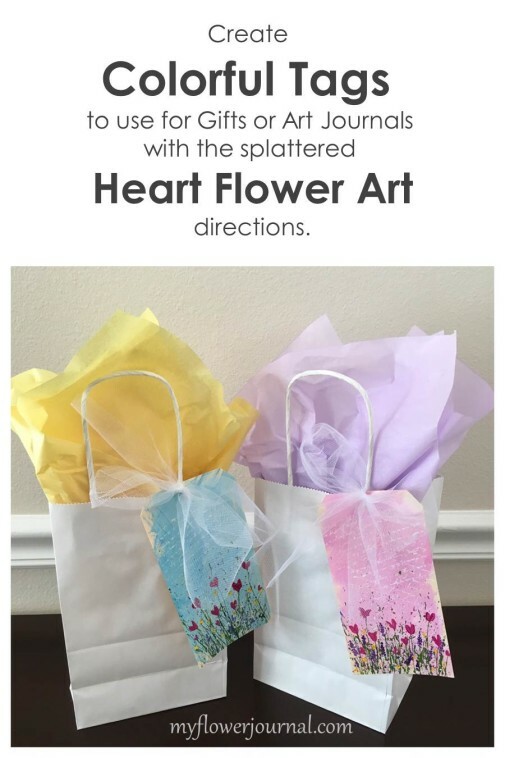 You can follow the same steps and create splattered flower heart art on journal pages, gift tags or cards. 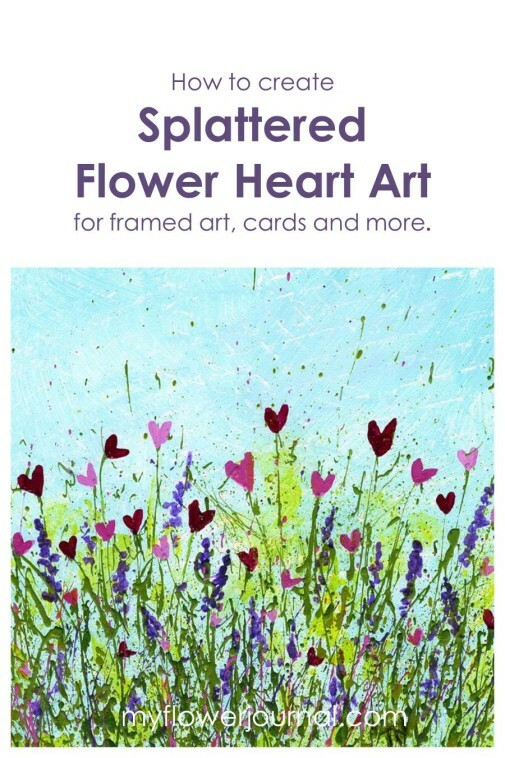 You can see more splattered paint flower art here. 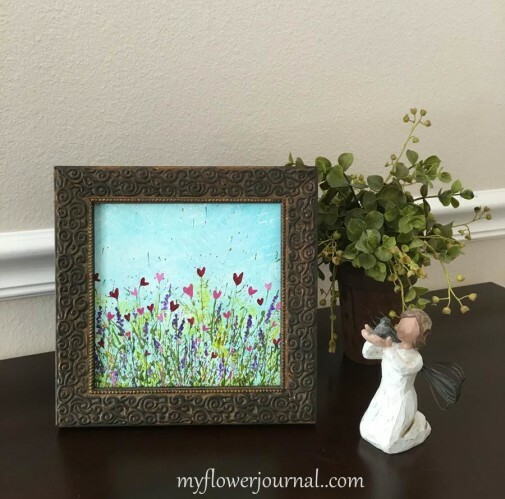 FAQ about Splattered Paint Flower Art here. Tips for easy clean up here. 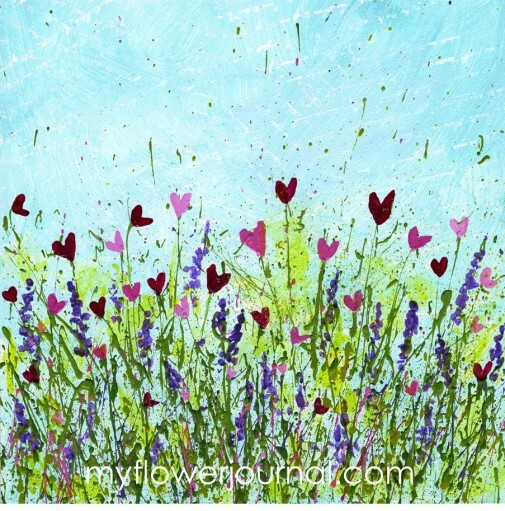 Free Printable to create your own heart flower art here. Cette peinture est d’une fraîcheur incroyable ! J’adore ! Merci pour le tuto ! This is just beautiful !!! Thanks SO much for sharing – pinning ! Such a cute idea as always!! This is so cute! I love the idea. Very creative. Pinning this to try later with my son.Thanks for sharing! Charming painting. Love the delicateness of it. Hi Tammy. It’s been awhile since I painted flowers from one of your tutorials and now you have reminded me to try them with teh splattering technique! Thanks for sharing your beautiful flower art and happy PPF! Thank you! These are darling and I love how simple it is. To see work in progress is always so inspiring and fun, thanks for shearing! I just love splatters and use them a lot. I love this art project. Thanks for sharing! lovely and potentially something I can do! Love the tute and the little hearts!